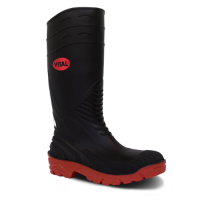 Comfortable and practical safety boot with steel toe cap protection and steel midsole. 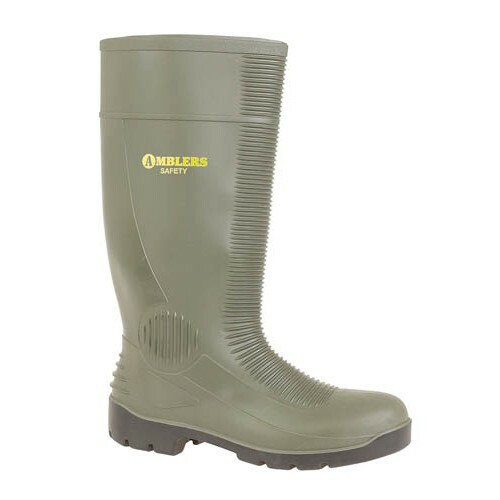 Versatile wellington suitable for a vast range of farming and industrial applications. Dual density ribbing on the upper gives added protection to the shin bone, ankle and heel where brambles or debris can be hazardous. 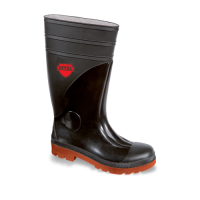 The cleated PVC sole provides a good level of slip resistance. Suitable for men and women.